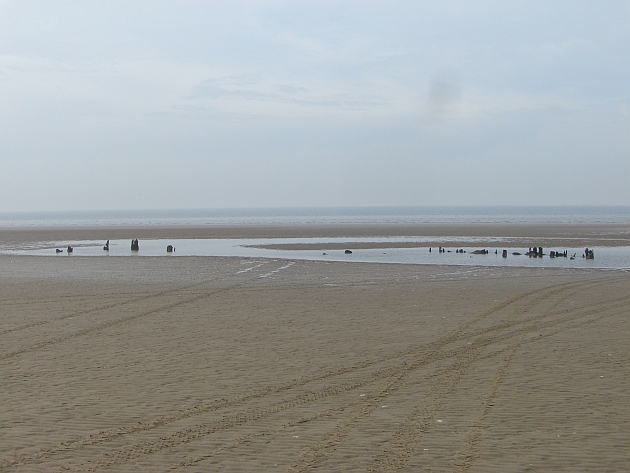 The recent storm has uncovered a long buried wreck on the beach off Hoylake. It is on the low water mark directly opposite the Hoylake Community Centre and was a large wooden ship around 90 feet long. I wonder if anybody can identify it. The Greek freighter wreck you refer to is commonly known as the Greek or factually the SS Nestos, this link provides some further info http://www.wrecksite.eu/wreck.aspx?67306 This freshly uncovered wreck is more than a mile to the east of the SS Nestos so further digging required! What we know is that in this approximate position over the last 100 years more than 30 feet of sand has been deposited, so we guess that this excludes the earliest two casualties, we also know that the East Hoyle Banks seaward edge is slowly “moving” towards the promenade another reason why it might have been exposed. Our records state that the Alexandra was 85 tons net which would be right for a wooden built vessel of this type, but the records also say that she ran aground opposite Beach Road in heavy fog, and that the lifeboat crew helped to discharge her cargo of 30 tons of coal over the next 3 days before her crew were finally rescued by the lifeboat. We don’t know if she had moved from the original position or whether that position was correct due to the fog. So basically we don’t know which vessel it is! But like you we would be interested in any other theories. Great updates Ian – really interesting! Thanks. I am currently researching the great storm on 22 Aug 1868. My G G Granduncle was on the Barque Neptune which lost all hands and most of the ship and cargo was washed up onto the beach at Hoylake. Could this be the ship you are looking for or any of the other ships that didn’t make it through the night on that terrible day. Is there any chance that this wreck is all that remains of the boat that was buried into the embankment at the beginning of the 20th century and was then brought out of its cement grave when the embankment was reconstructed in the 70’s or 80’s and then was left on the beach and broke up as the years of tides broke over her? Are you referring to the “Emblematic” ? This was a Fishing boat owned by the Eccles family. When it was re-discovered – it was patched up and towed round to the Albert Dock, Liverpool. I believe that the bow was cut off and kept by the Museum – the rest of the boat was scrapped. By the way – this boat was buried twice. Once by the storm which drove her into the embankment , such that the Eccles et al could not retrieve her, and then by German POWs who concreted over the remains some years after. 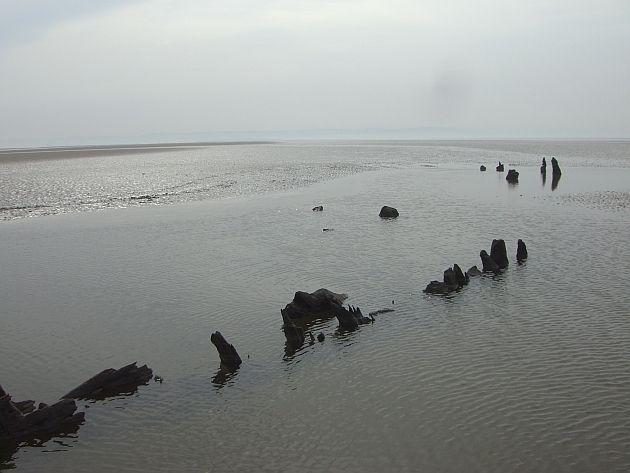 I was walking on the bank on Wednesday 14th August at low water and saw this wreck very clearly. I took a couple of photos of my young Daughters next to it and I am intrigued to learn more of it so they can use the photos in future at school.